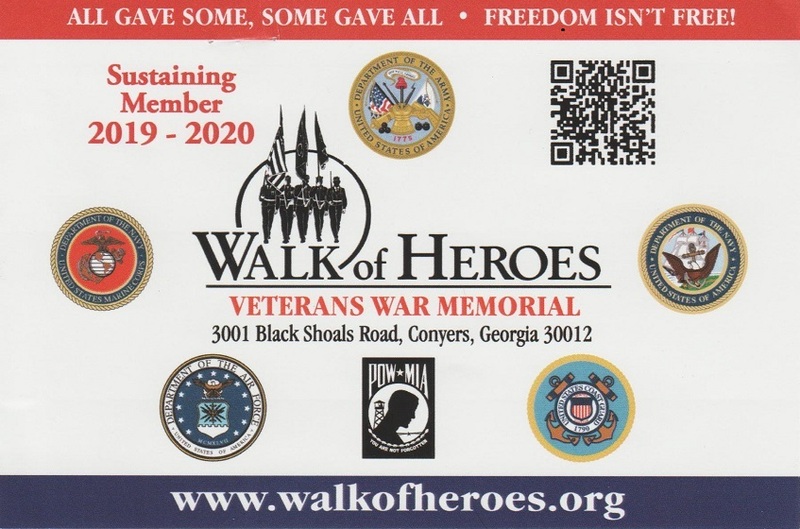 The Walk of Heroes Sustaining membership Program allows individuals, businesses, civic and professional organizations, churches, or any entity to have a part in ensuring that the Walk of Heroes is always properly maintained, and provide a first class education and historical experience for visitors. There are 5 Levels of Membership, allowing you to support at the level comfortable to you. All members will receive a full color 4×6″ decal and will have their name placed on our supporters section of the website. Four Star members will be listed on every public program printed during their active membership period.